Martini lovers should give this Friday cocktail a try, a Bronx Cocktail. 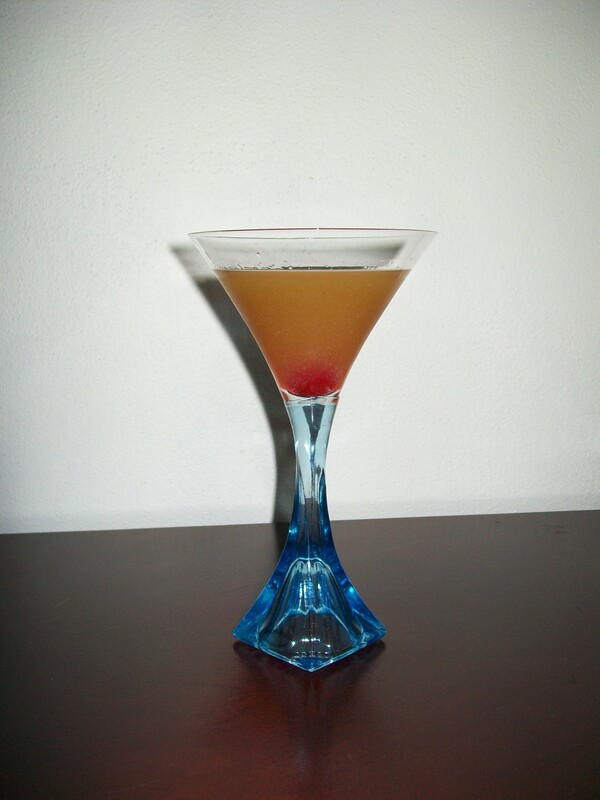 In the 1930s, this drink was ranked third behind only the classic Martini and the the Manhattan in popularity. Each of New York City’s five boroughs has a cocktail named after it. All of them were created by the early 1900s. This particular cocktail has two possible origins. In one, oddly enough, the drink originated in Philadeliphia in 1905, but it was discovered by Bronx restaurateur Joseph Sormani who brought it to prominence. The other credits a bartender, Johnnie Solon, at the famed Waldorf-Astoria Hotel in Manhattan. Regardless of its true origins, give this classic cocktail a try and enjoy a taste from an earlier era. Pour 1 ounce of gin, 1/2 ounce of dry and sweet vermouth, and 1/4 ounce of orange juice in a shaker over cracked ice. Shake and then strain into your cocktail glass of choice. Garnish with a slice of orange, or alternatively, do as I do and garnish with a maraschino cherry. For an alternative, dry version of this cocktail, use a full ounce of vermouth and leave the sweet vermouth on the shelf. How I like it: I tend to like my martinis on the dry side, but this sweeter version is better with a little sweet vermouth. I’m more inclined to use 1/4 ounce of the sweet vermouth to 3/4 of the dry vermouth. Then I’ll add a 1/2 ounce of orange juice. For a garnish, of course I go with a maraschino cherry.